Above (From left to right): French D’Avignon, White Icicle, and Belle radishes. Radishes were developed in Asia, perhaps 2,000 years ago and are now found all over the world. There are so many interesting, and very different varieties for many different tastes. French D’Avignon radishes were developed in…any guesses… France! They are the most mild radish we grow and are perfect sliced thin and layered on a slice of buttered toast (perhaps a baguette?) with a little bit of salt. Our belle radishes are the standby, round radish with pink (and sometimes white or purple) skin. A bit spicy! Round-type radishes have only been popular since the 1930s and 40s. …which brings us to the White Icicle radishes (also called Lady Fingers, which is totally creepy)! This is my first year growing these heirlooms from the 1600s, and I love them! Many of our Farmers’ Market customers remember their moms growing this sort of radish when they were kids. 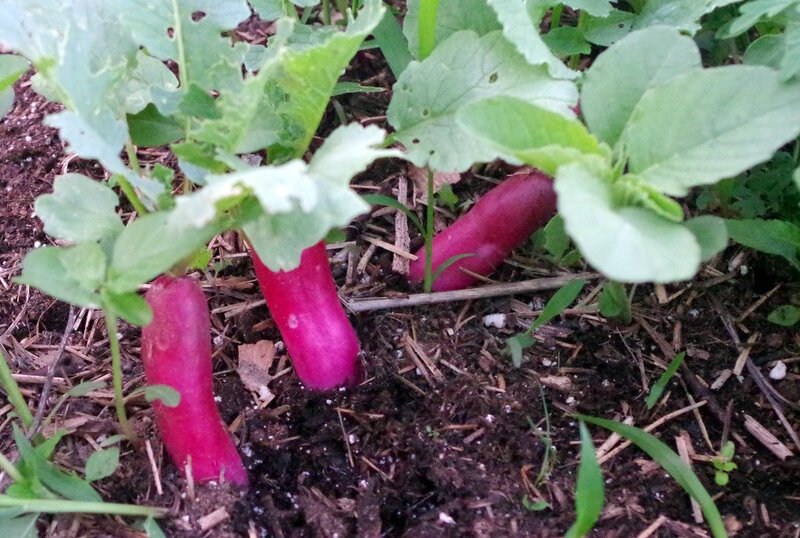 Because of the warm weather, these Icicle radishes are a bit spicy – about on par with the belles. In our house, radishes are usually eaten in the garden and don’t often make it to the kitchen, but you can roast the Icicle radishes to bring out a little bit of sweetness. If you are less ravenous with radishes than we are here and want to keep them for a few days, simply remove their tops and store them in the fridge for up to a week. I submerge mine in a bowl of water, but a perforated bag in the crisper drawer will work too. Radish season will be over in a few weeks! I hope you enjoy this ancient spicy vegetable while they last! 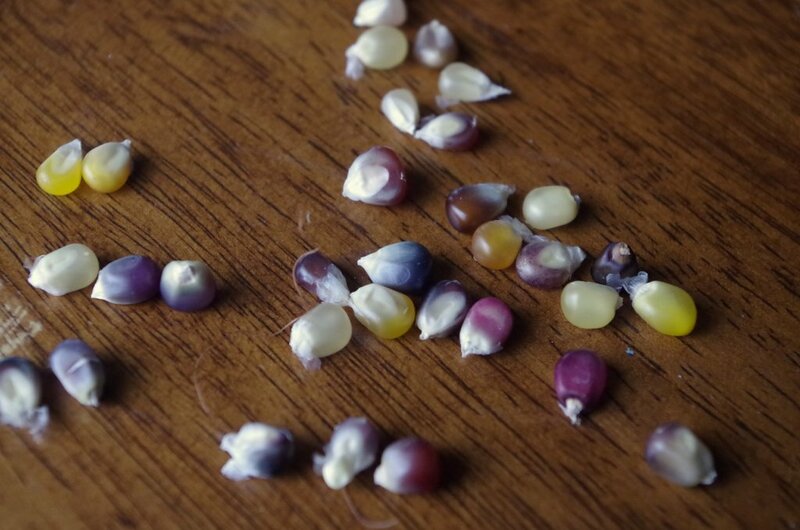 Our favorite popcorn is a pretty, heirloom variety called Cherokee Long Ear. 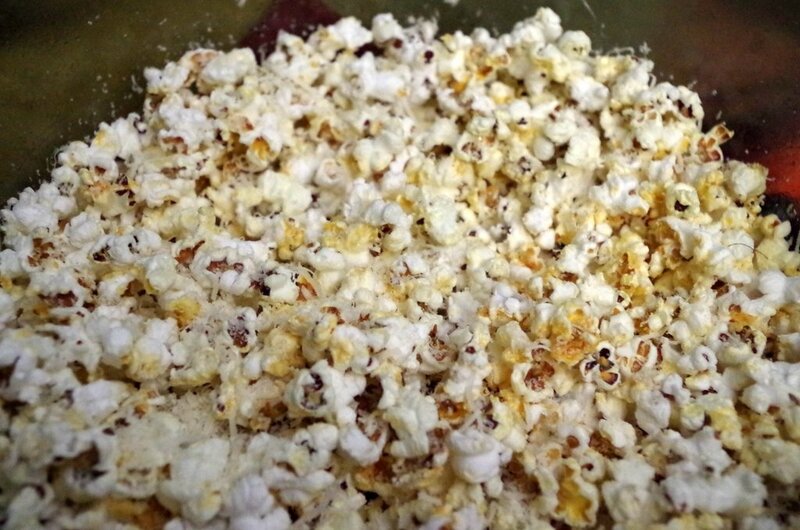 The ears are gorgeous and the popped corn has a delightful nutty flavor that is delicious with just a sprinkle of salt. 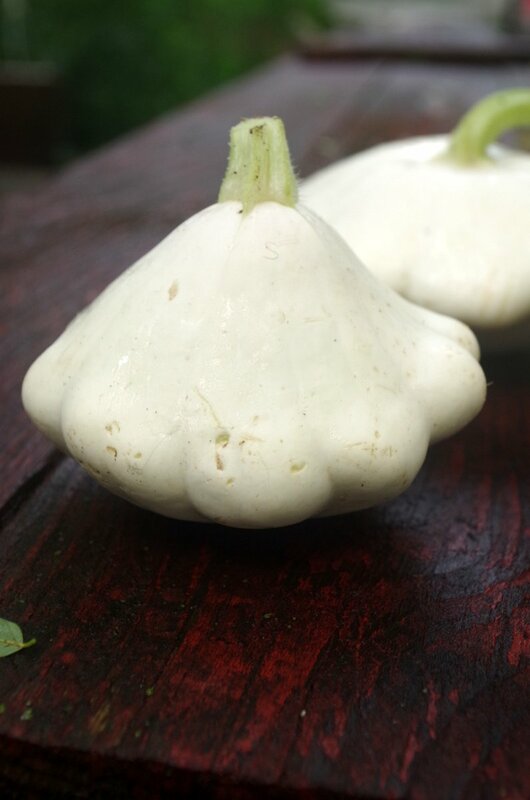 The variety was developed by members of the Cherokee Nation, likely from corn acquired through trade with other native groups. It is still grown today, thanks to the work of dedicated conservationists, and is loved by gardeners across the country. Cherokee Long Ear popcorn is prolific and relatively easy to grow, perhaps because it was developed in America before the use of heavy machinery and chemical fertilizers. 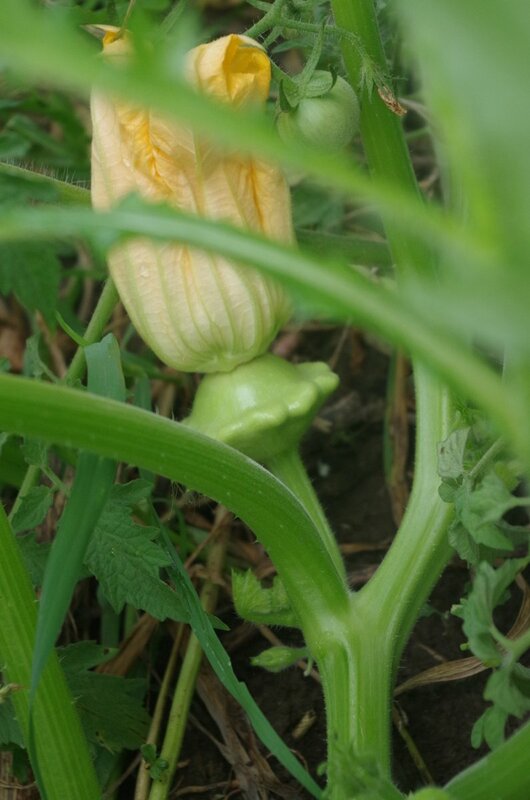 The naturally tight husks protect the ears from pests, and the short stalks don’t make much demand on the land. The hardest part of growing popcorn is the waiting…we pick the dried ears of corn in late October. Then, we wait. Oh, how we wait! 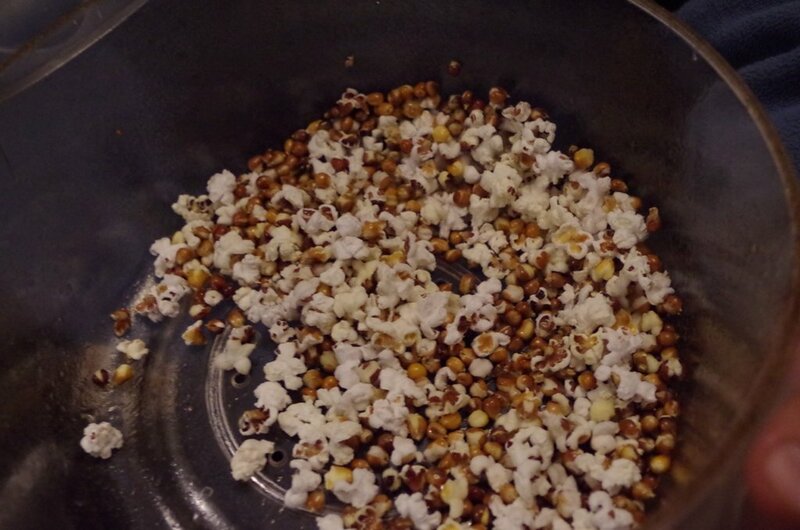 After picking, the kernels have to dry even more before they will pop. The beautiful ears sit on rack near our wood stove, begging to be eaten – a cozy treat during the darkest days of winter. We know…we know…they they won’t be dry enough to pop until February or March, and yet we always attempt at test batch (which always fails) around the winter Solstice. When we’re brave enough to try again in early spring, we are rewarded with the yummiest, prettiest snack that also makes is feel great because we are helping preserve a bit of delicious history. We’ll have bags of popcorn at the Zionsville Farmers’ Market starting on Saturday, May 16.